Collects Amazing Spider-Man (1963) #400-401, Super Special, Spectacular Spider-Man (1976) #222-224, Super Special, Spider-Man (1990) #57-58, Super Special, Spider-Man Unlimited (1993) #9, Wed of Spider-Man 123-124, Super Special, Spider-Man: The Clone Journal and Venom Super Special. 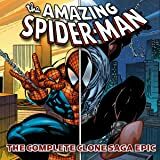 Clones, and jackals and symbiotes-oh my! 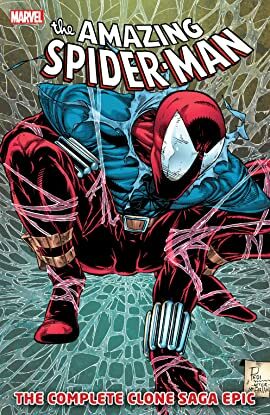 Spider-Man's clone is back, costumed as the Scarlet Spider, and neither is sure which is the genuine article! Will the real Peter Parker please stand up? Plus: Aunt May on her death bed! Mary Jane pregnant! Peter arrested for murder! The true origin of Venom revealed as Symbiotes invade the planet! The Lizard! Electro! Shriek! And more! Don't miss one of the most controversial Spider-Man stories of all time!